If you've been wondering how to turn your shatter, wax, and any other hash oil concentrate into vape oil / e-juice it's easer than you might think. It's not a cannabis oil vape pen without the cannabis oil. The choice we make here for our base oil will have a heavy influence over future choices we will have to make for our finished product. In many ways distillates are the blank canvas of base oils. Distillates gives us the most options in terms of the final products we can make - would you like a vape pen that taste like fresh squeezed orange juice or your favorite cannabis strain, the choice is yours. When made correctly distillates offer us a high purity, high potency, blank start to then flavor, mix, and fill our cartridges. The blank canvas is both an advantage, and disadvantage. During the distillation process the blend of unique terpenes that made that particular strain will be lost in the process; those terpenes that you started with will be degraded to a point where they will be entirely undesirable to keep. This means that you will have to replace the terpenes/flavor lost in the process of distillation with new terpenes/flavor. More on this in Step 3. This choice will also require the most upfront cost due to the required equipment to produce a distillate. Widely accessible, most flavorful (opinion), and easiest way to get started. Depending on which state you're you can visit a local dispensary to pick it up, or at a minimum know a guy. If using BHO it's best to use a product that has been either winterized or dewaxed to remove any potential plant wax that may be present. Plants wax is an impurity that would be undesirable in our final vape cartridge in terms of taste, appearance, and functionality. This will appear as a cloudy vape cartridge, and may be prone to clogs. Heres a tip! We suggest you partially decarboxylate your oil before mixing, and filling vape carts. If you don't there will be a risk of crystallization happening inside the final vape cartridge. I suggest a partial decarb over a full decarb for the simple fact that is will take less time under heat. Less time under heat means you get to retain more of the terpenes in your starting BHO. One of the nice things about distillate is that it has already gone though decarboxylation in the distillation process, and is not at risk for crystalization. Many would consider this a great option for those that want a vape cartridge that is solvent free. However solvent free is not just limited to Co2 oil. By nature distillate is also solvent free. Also, the solvent free category could fall over BHO, Rosin, and QWET if made correctly. Even in the case of an under purged BHO the act of partially decarbing the BHO, and the heat/agitation necessary when mixing the vape oil would complete the purge - butanes boiling point (30.2°F) is incredibly low after all. I believe the greatest utility for Co2 falls in its terpene extraction, and isolation ability. This isn't about terpene extraction though, it's about making vape oil. This is the option that will be most accessible to most individuals. Even if you don't have a source to acquire BHO, or C02 oil you can at least make your own base oil with Rosin. Also, like C02 it's considered a solventess hash oil. As mentioned before winterizing would be recommended to achieve the highest purity possible. If we were to do that with Rosin it wouldn't be a solvent-less hash oil though - catch 22. Quick Wash Ethanol (aka QWET) would be easiest way to get started with a solvent based extraction. It won't produce the same high terpenes extraction results BHO can produce however. This is due to the higher temperatures necessary to purge a ethanol as opposed to a butane extraction - with that being said It would be considered the "safer" of the two in terms of producing. As of the time when writing this page ethanol extraction is considered a non-volatile extraction as far as the governing bodies controlling California's recreational cannabis market are concerned. Ethanol extraction would be a better choice for crude extraction to feed to distillation in my opinion. Could you make a vape pen with QWET? Yes. Would it leave you with the tastiest result? Probably not. What's the best base oil? Like other parts of the cannabis industry terpene sources come with a fair amount of controversy. Terpene sources can be split of into two camps: Cannabis derived terpenes vs terpenes sourced from other plant sources exogenous to the cannabis plant. Cannabis derived terpenes are by far the most desirable, but are also the hardest to isolate and scale to a large scale production without a significant investment - C02 extraction. The nice things about choosing quality BHO, Co2, or a Rosin base oil is that you already have your cannabis derived terpenes right there so there's no need to add any extra terpenes or flavoring. If you're not starting with a particularly high terpene concentrate adding flavor will be something you have to do, assuming you want your vape cart to taste like something. To flavor with terpenes you'll need the ability to produce a high terpene extract - HTE. HTE's can be produced with Butane, Co2, Microwave, Steam, and even with Rosin by some skilled producers. Non-cannabis derived terpenes on the other hand are much easier to scale. They do not require the large upfront equipment cost that extracting cannabis derived terpenes requires, they can simple be purchased. Cannabis derived terpenes can also be purchased…at a much greater cost. 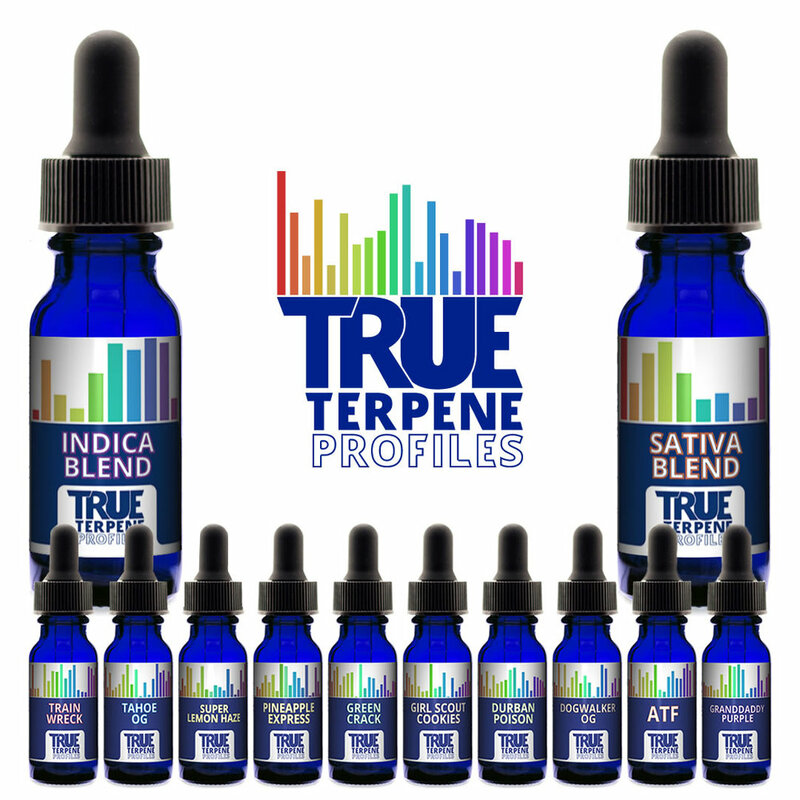 The cost difference might be roughly $2 - $5/ml for non-cannabis terpene (True Terpenes) vs $100 - $600/ml for cannabis derived terpenes (Blue river Extracts). Personally, we use terpenes from both cannabis derived source, and non-cannabis derived sources for deferent types of pens marketed to different types of customers. Historically the highest selling cartridge we’ve made was one that tasted like strawberries and bananas - the terpenes used were all natural, food grade, organic, non-GMO, and also non-cannabis. 100% terpene based diluent - flavorless, organic, non-GMO. There is controversy surrounding many of the diluents used in vape cartridges today. A lot of that controversy stems from a study published in The Journal of Alternative and Complementary Medicine - Carbonyl Compounds Produced by Vaporizing Cannabis Oil Thinning Agents an experiment was performed that heated PG, VG, PEG 400, and MCT to 230°C to examine possible conversions to carcinogens. The results of the study showed “PG and PEG 400 produced high levels of acetaldehyde and formaldehyde when heated to 230°C. Formaldehyde production from PEG 400 isolate was particularly high, with one inhalation accounting for 1.12% of the daily exposure limit, nearly the same exposure as smoking one cigarette. Because PG and PEG 400 are often mixed with cannabis oil, individuals who vaporize cannabis oil products may risk exposure to harmful formaldehyde levels. Although more research is needed, consumers and policy makers should consider these potential health effects before use and when drafting cannabis-related legislation”. Out off all the options available to us, the option with the fewest downsides would be a terpene based diluent such as "VISCOSITY" - a flavorless odorless diluent made from a blend of 100% organic terpenes. If there is a downside i could think of it could be the cost. In terms of ml per dollar, a terpene based diluent will be more expensive compared to more commonly used diluents such as PEG, or MCT. As mentioned is part 1 of this guide distillate is typically the base oil of choice for most commercial vape cartridge brands. When using a distillate to make your vape oil we recommend using terpenes to flavor your vape oil in 4-12% range. This means that terpenes should make up 4-12% of the final weight batch weight for the final vape oil. For our example we'll be starting with 12 grams of distillate for or initial base oil. For this particular example recipe we'll be using 9% for the amount of terpenes we want in our final vape oil. First, subtract 9 (Desired Terpenes Percentage) from 100. Second, divide that value by 100. Third, divide the base oil weight by that value. The final result is 13.186, meaning are final batch weight will be 13.186g total. Now that we have the final batch weight we can complete the first equation. Continuing with our example, subtract the base oil weight from the final batch oil weight. The final result is 1.186, meaning the toal terpenes weight will be 1.186g total. The final recipe will consist of 12g of distillate and 1.186g of terpenes for a total of 13.186g of vape oil. Now that we have determine what the recipe for our vape oil will be making it's time to mix everything together. This step is as simple as lightly heating all the ingredients, and blending them to a homogeneous consistency. We recommend first heating your base oil separately from the other ingredients such as terpenes which are more temperature sensitive. Weigh out the base oil into beaker using a scale. This beaker should be large enough to hold the entire final batch of vape oil once terpenes are added. Heat base oil beaker using a hot plate stirrer, or microwave (yes, a regular microwave). Since different types of base oil come with different starting stabilities you will have to heat some more than others. Typically base oil such as distillate that is already decarbed will have to be heated less than oil that may not be such as a BHO shatter. When heating you simply want to get the base oil to a consistency where it can be easily stirred without much effort - think of a honey consistency. Weigh terpenes (other ingredients) in separate beaker using a scale. It's better to use a separate beaker when weighing so that you can remove remove any extra weight that may have been added. Added weighed terpenes to heated base oil beaker. Lightly stir with stainless steel tool to roughly mix ingredients together so that the terpenes aren't just sitting on top of the oil. Add magnetic stir bar into beaker, then place beaker on hot plate stirrer. Turn the stir bar on, and set it to a low setting such as 200 RPM. Don't be surprised if your stir bar does not move spin freely, it must be heated further. Begin heating beaker. Again, the amount of heat you will need to apply will vary depending on the stability of the base oil, as well as the amount of terpenes added. The lower the amount of terpenes in the mixture the more heat will need to be applied. The Higher the amount of terpenes in the mixture the less heat will need to be applied. Start at 40C and slowly dial your heat up until the stir bar begins to rotate freely - you should not have to heat the oil past 70C. Slowly ramp the speed of your stir bar up until you stir bar is mixing the entire volume of the beaker. Allow the beaker to mix until you no longer see striations, or separation of ingrdients. The magnetic hot plate stirrer is going to be your greatest tool when it comes to mixing vape oil. To save 10% on hot plate stirrers use promo code "extractsacadmey" at checkout. Used for mixing your blend of terpenes, and oil. 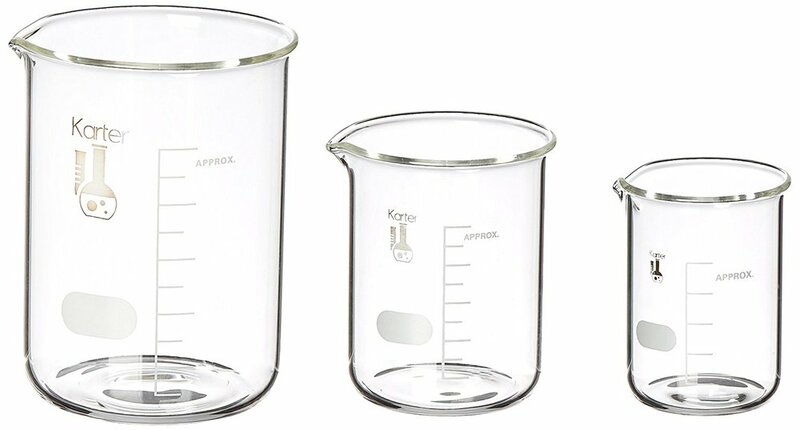 Beakers will be placed on your hot plate, and stirred with a magnetic stir bar, or over head mixer. We recommend measuring terpenes by weight instead of volume. Measuring by weight will provide you with the most accuracy. Because of how important accuracy is we recommend you use a scale capable to measuring to the thousandths decimal place (0.001) of a gram. This scale is one os the best value for scales that we've found that meet these requirements. Another important feature is that it won't auto power-off like many battery powered scales - this is an issue when you're in the middle of weighing out a terpene blend. This is the preferred stirring utensil. 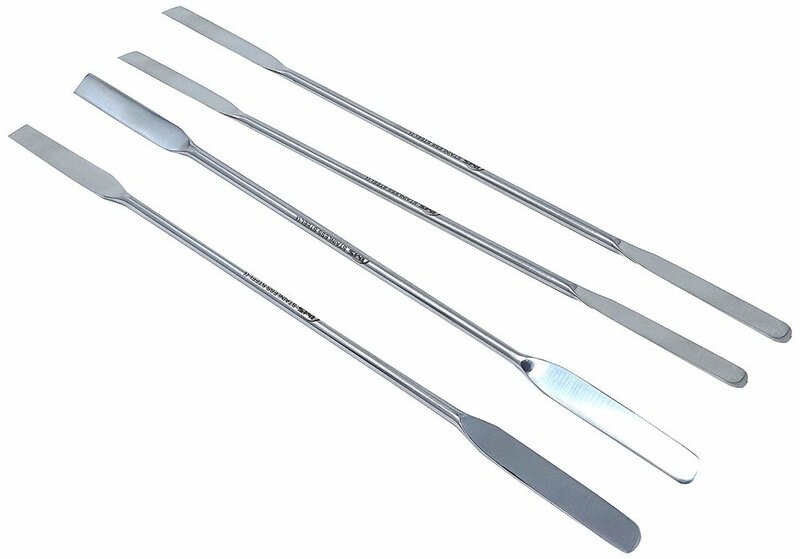 We use these for stirring, as well handling when transferring vessels for weighing. It doesn't matter how good the vape oil in the cartridge is unless the cartridge actually works. Making the right choice here will define if you have an enjoyable vape pen, or find yourself asking questions like "how to fix a leaking vape cartridge", "my cartridge taste burnt what do i do", "how to get vape oil out of broken vape pen". Do not buy this type of cartridge. Many buy them because they are the cheapest. When you consider that they can have failure rates from 10% - 25% they are by far the most expensive. Instead look for something like this. A ceramic based heating element, 4 sided oils hole, capable of vaping even the thickest of oils (raw distillate), low failure rate (less than 1%). To order these cartridges click here. For beginners the simplest filling solution will consist of the use of a hot plate stirrer, and a syringe with blunt tip needle. Heater beaker containing vape oil up to a consistency where it can easily be pulled into a syringe. This might range from 35-65C depending on the thickness of the final vape oil. Set stir bar to light spin to keep in order keep the entire volume of the beaker warm. Alternate between loading the syringe and dispensing the vape oil into cartridge until complete. Tip: The longer your oil in under heat the more it will oxidize, and darken over time. For large batches (hundreds to thousands of grams) it might be best to heat small amounts of oil at a time such as 250-500ml beakers. In addition to duration, the higher the heat the faster the oil will oxidize as well. Glass syringes will be recommended over plastic to avoid possibility of plastic leaching into the vape oil. These are reusable when cleaned with correctly. Stainless steel blunt tip luer lock syringes. 16ga will fit most cartridges. While following the same procedure used when filling with a syringe a Repeater Pipettor can be a way to increase the speed that you fill cartridges at. The repeating pipette dispenses a set volume of fluid with every press of the plunger. The volume can be set to match the volume of the cartridge being filled. One downside to this method it that the vape oil being heated will have to be heated much hotter than the syringe method. This may be 70-90C before the oil is at a consistency where dispensing is easy. The oil must be heated to a near water thin consistency to avoid clogging. If you remember the previous tip, this higher heat will oxidize the oil more rapidly. When using this high of heat of heat we suggest heating much smaller amounts of oil at a time. With the repeating pipette you'll also have to purchase disposable dispensing tips - 5ml tips are suggested for this job. Another down side is the material these dispensing tips are made from. Polypropylene is not a suggested material to be used with solutions rich in terpenes - like vape oil. It is recommended new tips be used every time to avoid breakdown of the Polypropylene over time. For more on the chemical compatibility of polypropylene look here. Sign up with your email address to receive a discount code on both terpenes, and terpenes based diluents. It worked. Check your email!